The world of The Witcher is freely explorable, the engine has to handle many LoD levels and seamlessly stream geometry and textures - the game puts the low-end builds to the test. 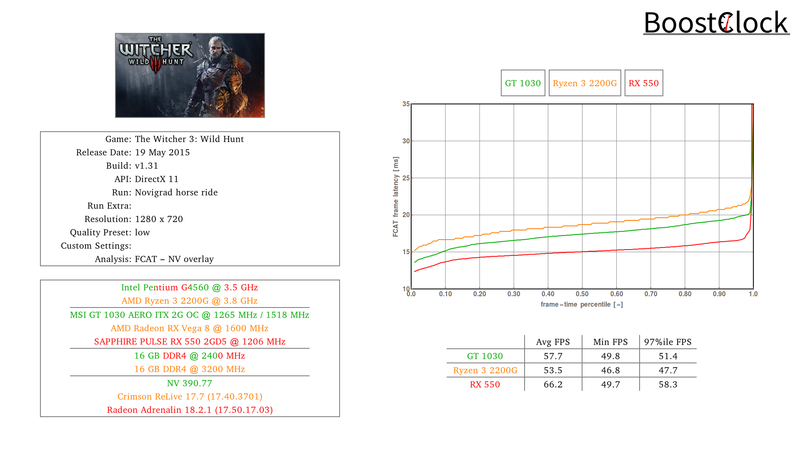 Overall, the RX 550 came out on top, but it had a hard time keeping the frame rates smooth and tidy. 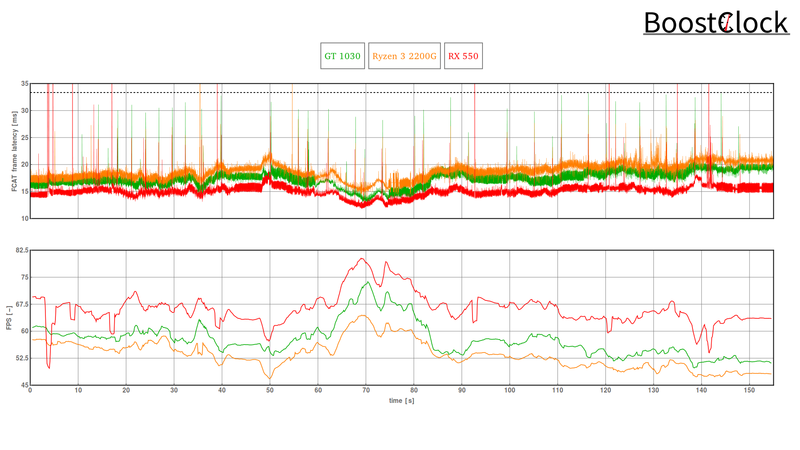 In this regard the GT 1030 proved to be the best, the NVIDIA dGPU didn't produce any dips just the regular spikes. 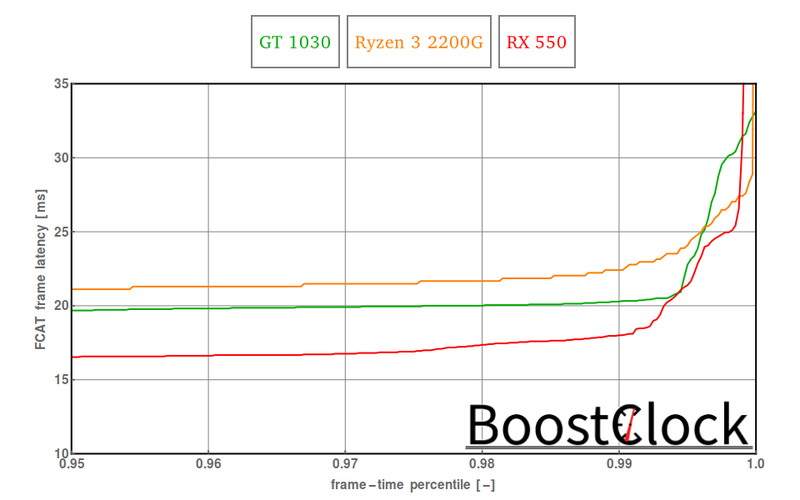 The Ryzen 3 2200G faired okay, but one would have expected a smoother presention owing to the 4 Ryzen cores.